Few are the microbrands that have genuinely convinced us, but E.C.Andersson is definitely one of them. 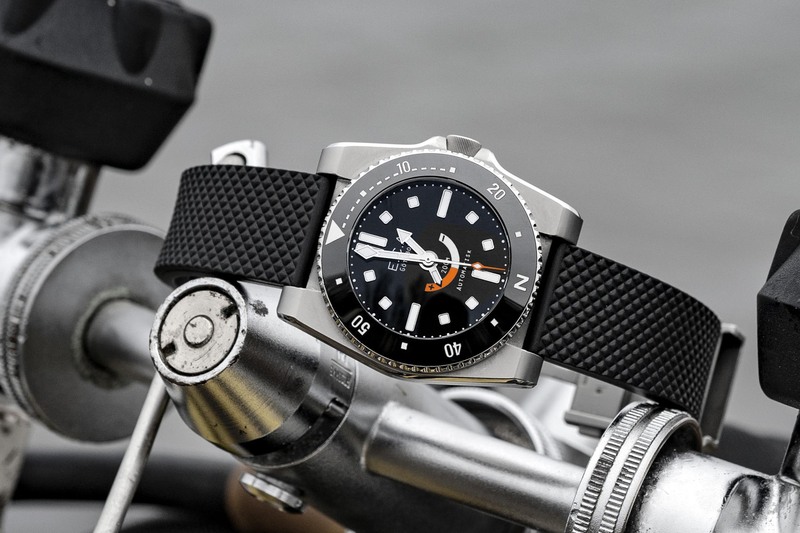 This Scandinavian watch company has created several interesting, well-executed sports/tool watches, including North Sea II and Calypso, which combined cool design, solid cases and overall accessible prices. 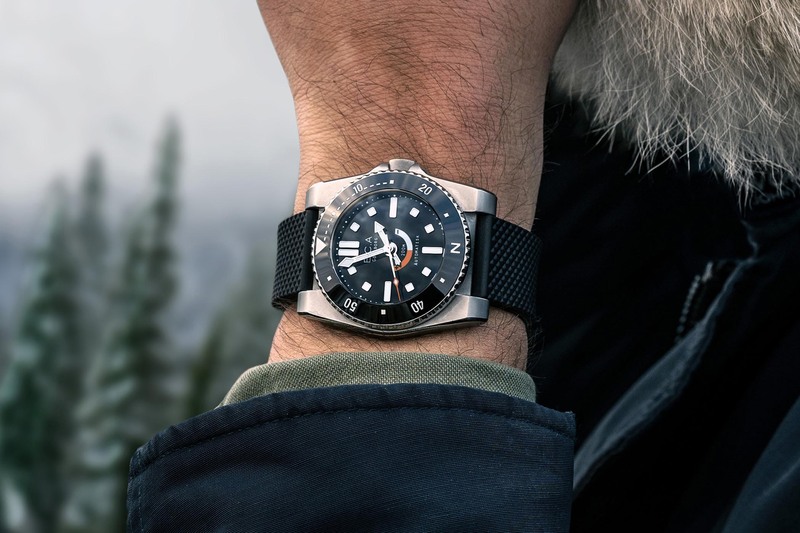 Today, the brand is releasing a new model named Denise, a watch conceived as an “all-season tool watch”, or a dive watch that can be brought onshore for exploration. 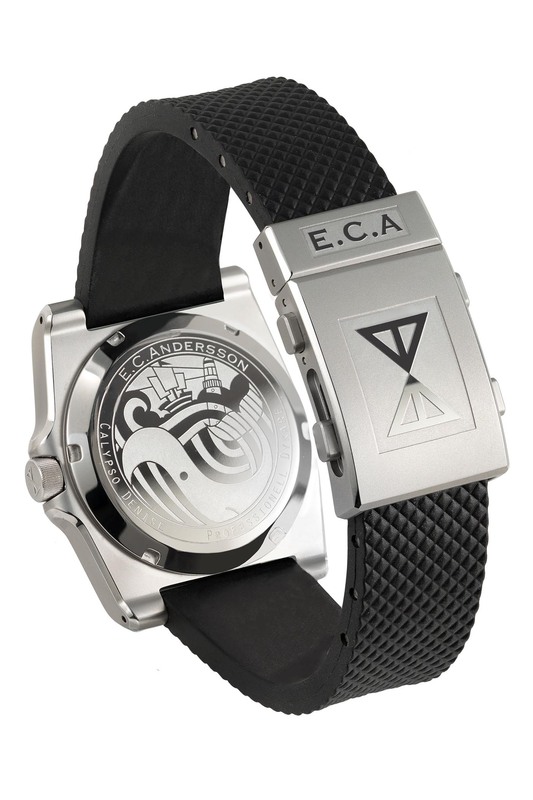 The new E.C.Andersson Denise doesn’t mark a complete rupture with the previous models of the brand, and some of the signature elements can still be found in this watch. 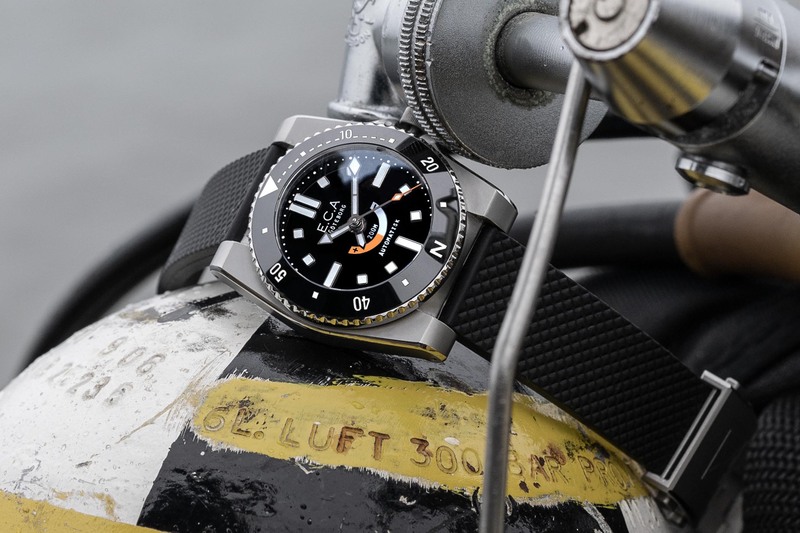 Instead of being an all-rounder tool piece, Denise is a proper dive watch which retains some of its Nordic roots. What hasn’t changed is the final price and the package you’ll receive for your money. 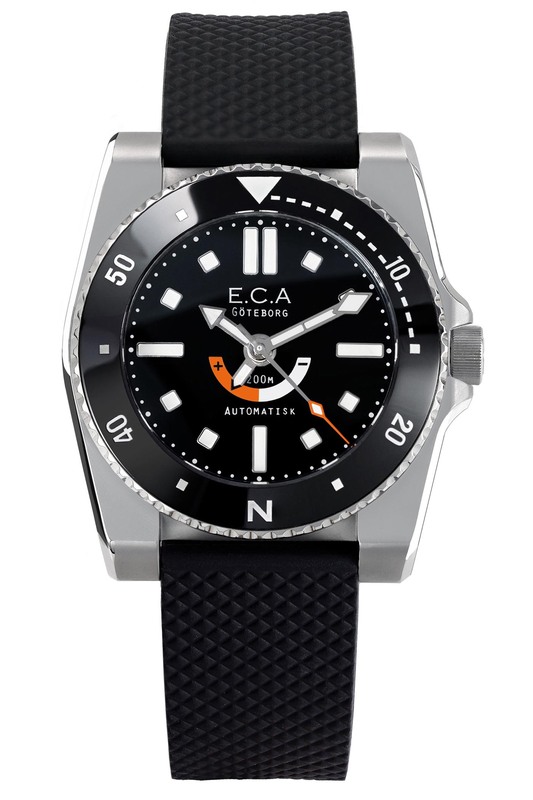 Once again, E.C.Andersson creates a lot of a watch for less than EUR 1,000. The design of the E.C.Andersson Denise is robust, with a slight 1970s inspiration – at least in the shape of the case. Squarish, with bulky casebands, the Denise is well-protected and has a masculine look. Surprisingly though, the dimensions are still reasonable, with a 40mm diameter, a 14mm height and 46mm lug-to-lug. More compact than you’d expect. 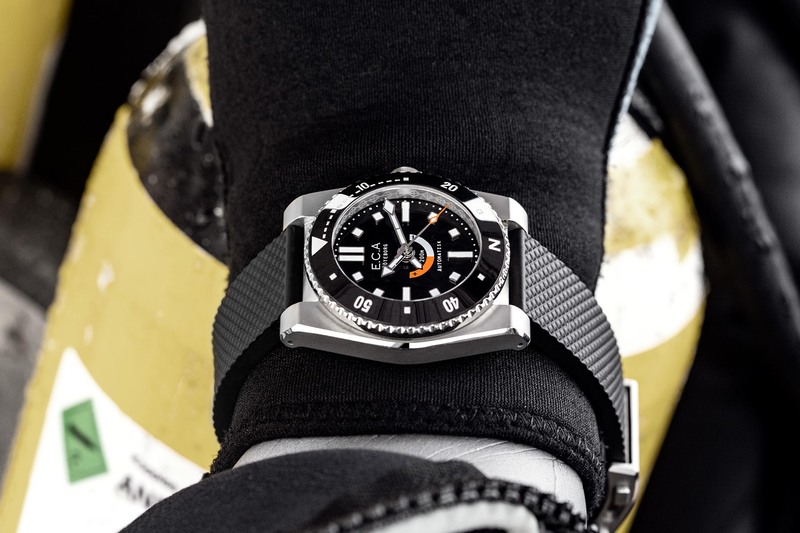 Combined to this case is a textured rubber strap with a dive clasp fitted with a micro-adjustment feature. 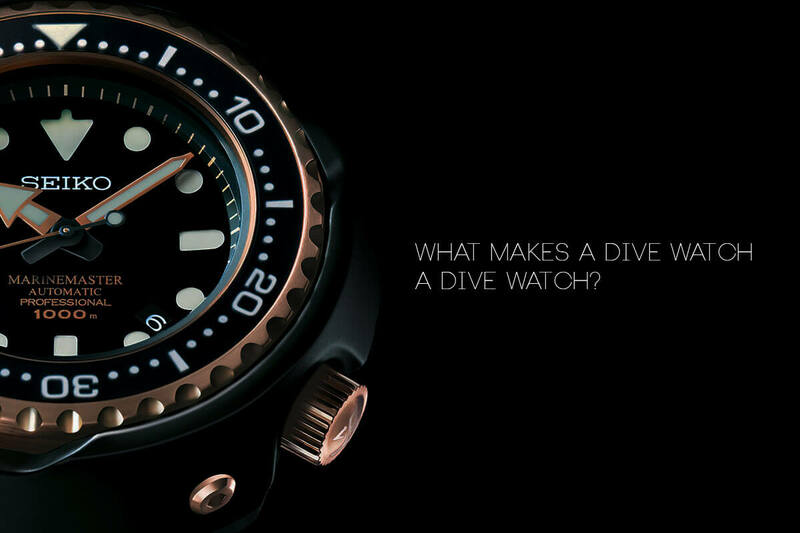 The case is water-resistant to 200m. Moving to the dial and bezel, the E.C.Andersson Denise features some pleasant surprises. For instance, the insert is made of black ceramic. 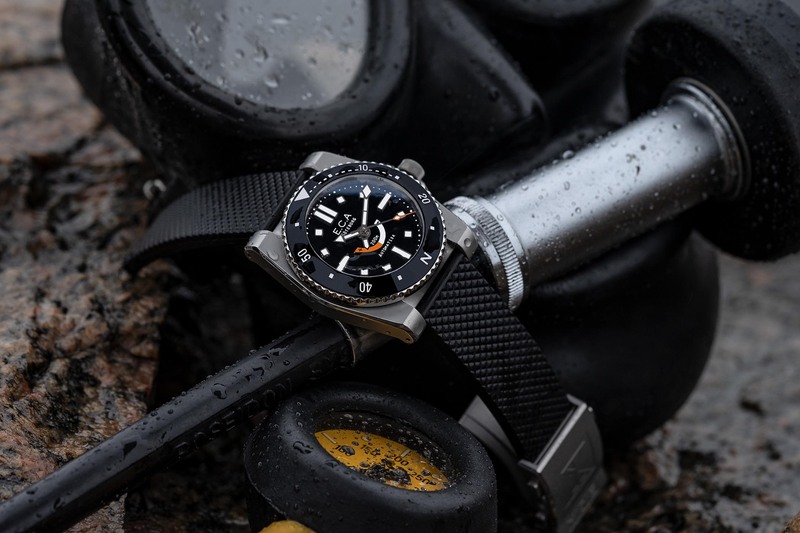 Combined with a unidirectional bezel and Dive and Compass scales, it can be used offshore and onshore, for both diving activities and land exploration. 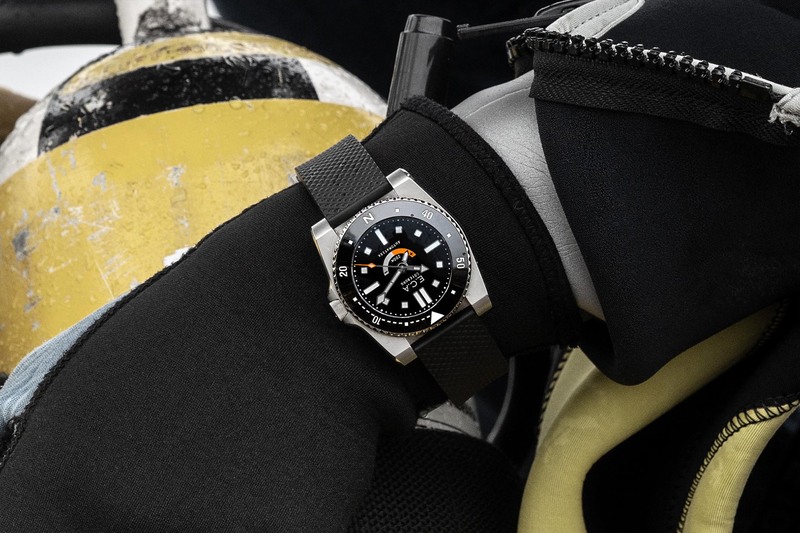 The dial is also black polished and features large, applied luminous indexes. 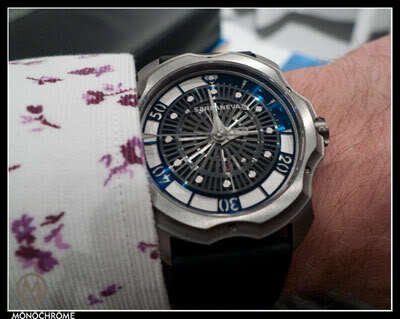 The display of this new watch is standard with central hours, minutes and seconds. E.C.Andersson has opted for a no-date display, which seems relevant in this context. 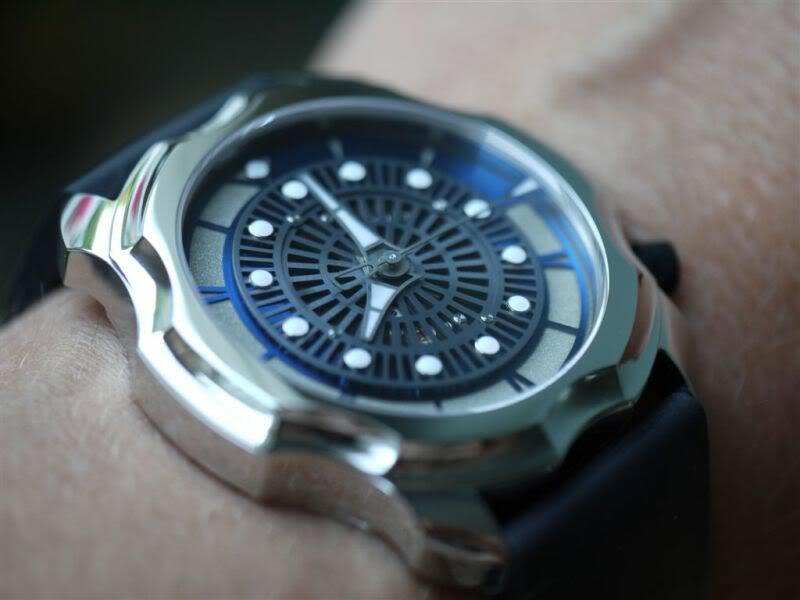 A fourth (short) hand can be seen on the dial, positioned centrally. This one indicates the remaining power of the movement. The dial features discreet orange details to give the watch a more colourful personality. Inside the case of the E.C.Andersson Denise is the calibre ECANE01, a modified Seiko NE57 movement, with 50+ hours of power reserve when fully wound. As always, the movements are regulated internally, in Gothenburg, Sweden. The process ensures a consistent accuracy of within -1 and +4 seconds per 24 hours running time, with a maximum deviation of +-4 seconds. The movements are regulated in five positions to the point where a daily rate is achieved within Precision Certification standard. And since the watch will lay on its side when not in use, E.C.Andersson optimized the resting position to crown-up. 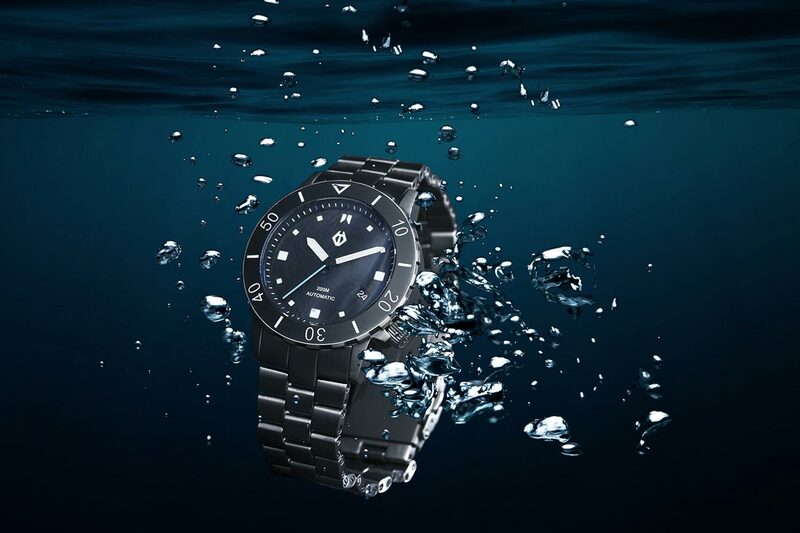 The E.C.Andersson Denise is another good-looking, well-equipped, well-executed watch by the Scandinavian brand. Production will be limited. Pre-order prices are, for the moment, EUR 895. Full retail price will be EUR 1,130. Note that Denise will be the last model to be released through pre-order before the brand moves on to stocked pieces at listing price. More details and orders at www.ecandersson.com. Maybe ECA could clarify the movement specs? According to TMI/SII, the NE57 only has a 41 hour power reserve. Horrible looking case. If they were after a cushion shaped diver then they should have created one, not this unappealing atrocity with lugs that could double up ad a weapon. Let’s hope their second attempt or V2 addresses this.